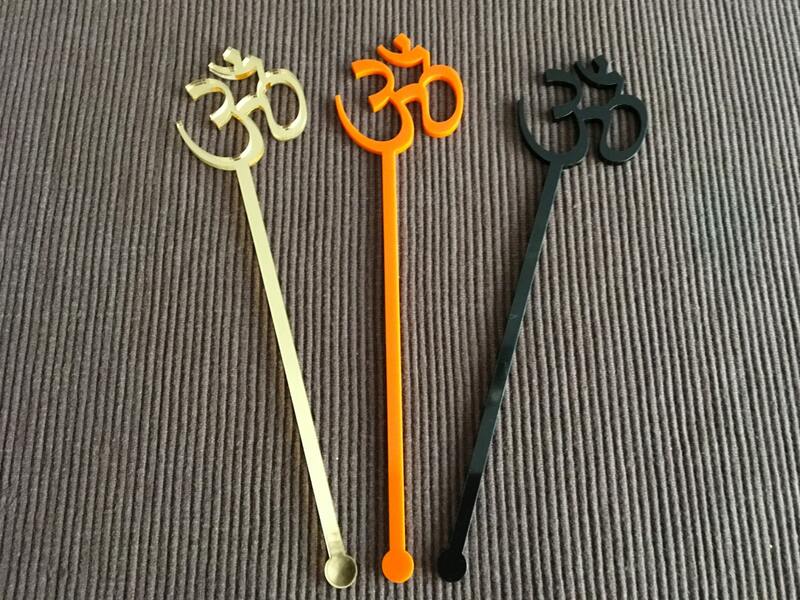 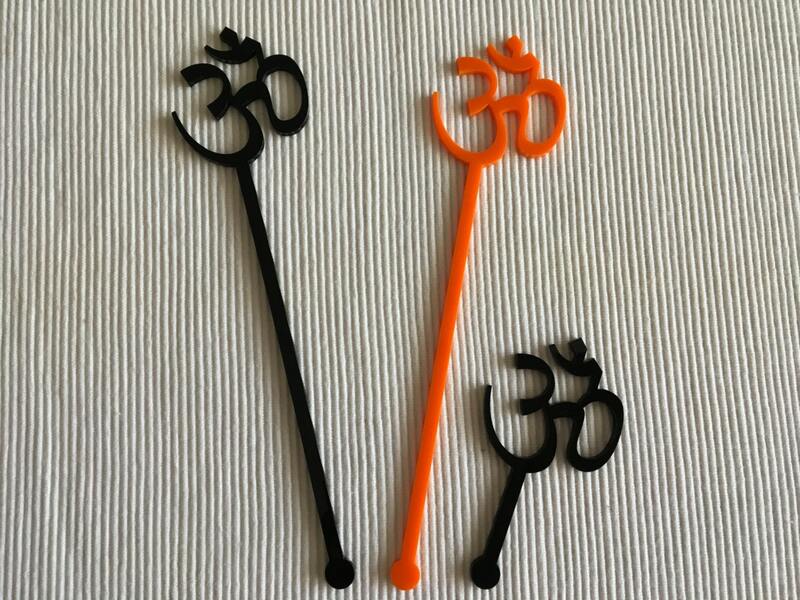 Laser cut acrylic Om Aum Yoga Namaste, Yoga symbol, Om symbol, Namaste sign, Namaste sign on sticks, Aum symbol. 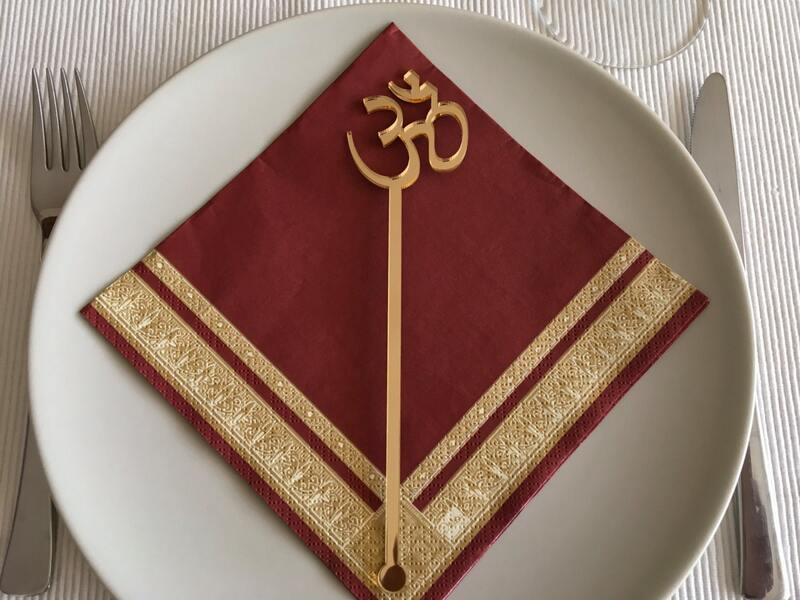 This Namaste sign will be the finishing touch to any cocktail. 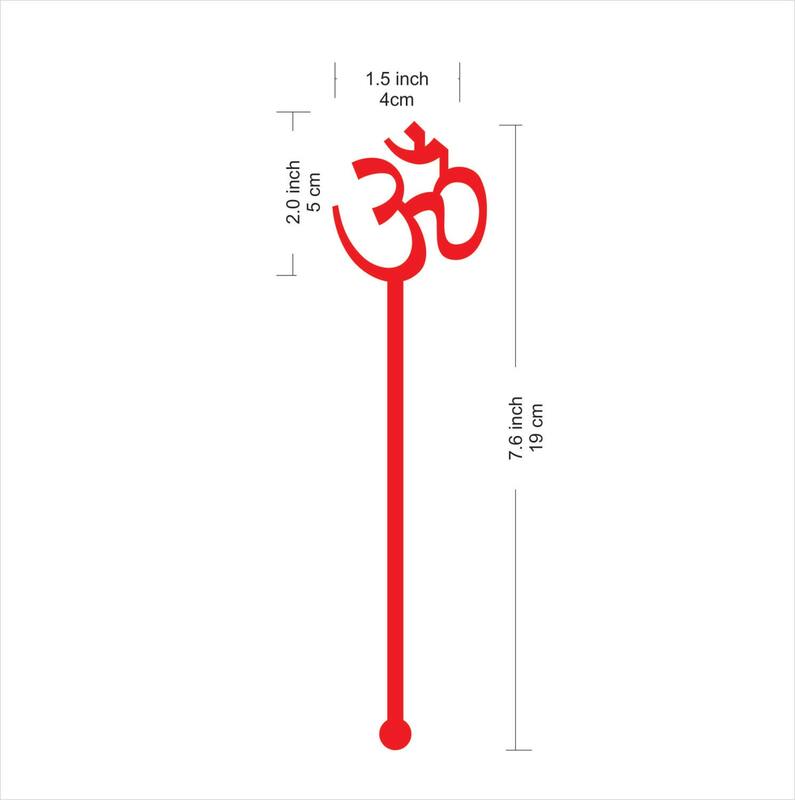 We can produce these Namaste signs in 1-3 business days after you order.